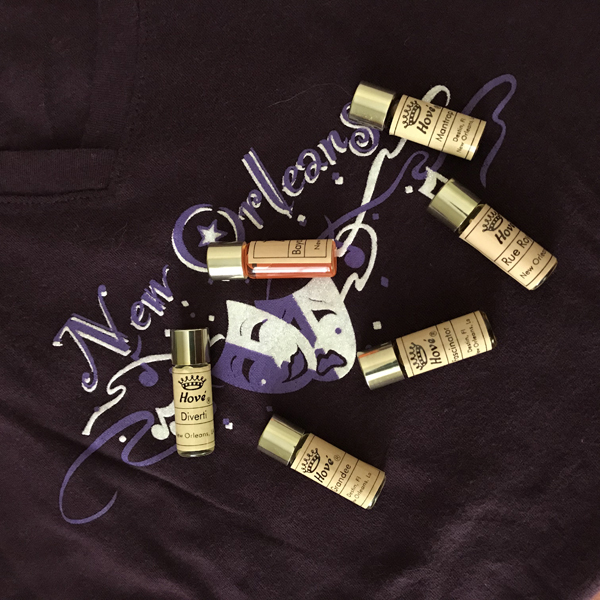 This entry was posted in Favorite Perfumes and tagged Bayou D'Amour, Diverti, Fascinator, Grandee, Hove Parfumeur, Mantrap, Rue Royale. Bookmark the permalink. They do not smell “handmade,” and I doubt I would have liked that many had they been. But most of them have that vintage/classic smell (but sans spoiled top notes :) ). I see, so it’s not exactly an artisan brand. When perfume has a vintage smell it’s a hit or miss for me – sometimes it works, sometimes it doesn’t. The most masculine one from the 6 will be waiting for the next package I’ll send your way later this year. Well, if you ended up in only one, Hove Parfumeur had to be The One! I am tickled pink that we matched on Mantrap and Fascinator. Spring Fiesta was discontinued or I would be willing to bet you would like it too. 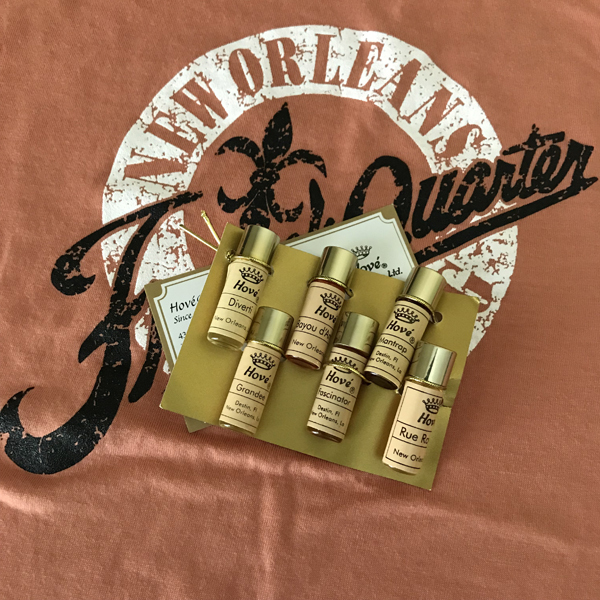 I don’t know where I tucked my New Orleans perfumes…I’ll find them at some point! I didn’t remember which ones you ended up buying so when I revisited your post and saw that we had two favorites in common I was very pleased. You should find your perfumes: they are great in hot weather. I am on holiday at the moment, excusively wearing perfumes in the heat – up to 37C so far – so I quite understand that you don’t want to commit to samples on a blind basis. Of the ones you got, the last two – Mantrap (also despite the name!) and Bayou d’Amour – sound like my kind of the thing. I sense the latter in particular would be great where I am. I keep watching your weather and cannot believe my eyes! Stay cool! I think that your current temperatures are just perfect for Sognes (which I plan to wear tomorrow thinking of your summer while it’s comfortable 26C in our area). I like this idea of getting to experience the drydown right away. From all the ones you mentioned Mantrap sounds really good. I hope in your multiple wearings the others will prove to be more enjoyable for you and that you get some consistency from them. 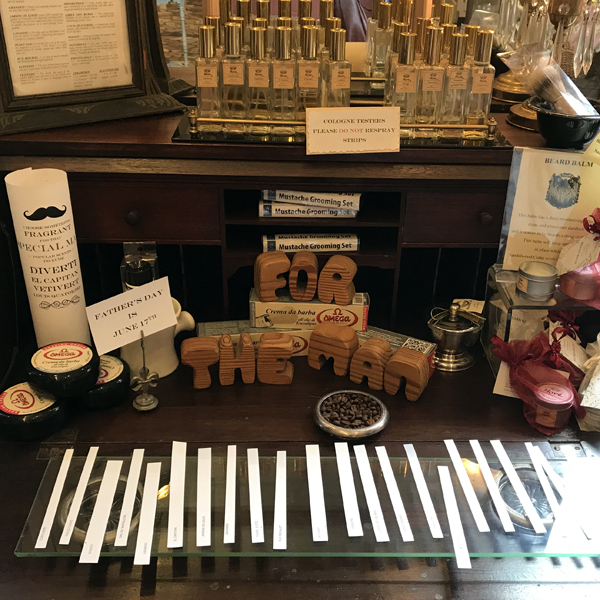 These are perfumes that I plan to either wear and finish or forward onto somebody else – not to hoard small bottles until they are gone due to evaporation or being off. That sounds like a great plan :) You already know I am not hoarding or saving anything these days! New Orleans has been on my travel wishlist for ages now. I had plans to go this past May but it fell through. I will go one day and when I do I will make sure to swing in Hove. I love the deep history it has. Shopping for perfume while being left alone is my favorite. I like quiet time with my scents. Hove Parfumeur sounds like an intriguing store to visit, Undina. Like the sound of Mantrap, even its name. How wonderful, I do love these hidden gems. I suppose they’re only really possible outside of EU, EU law/ IFRA legislations being too hard on small businesses like this one. 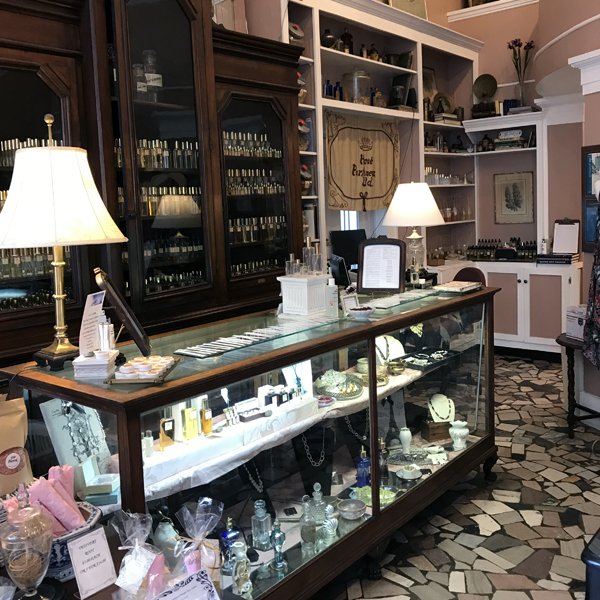 I like the look of the shop too, those old fashioned cupboards and display case remind me a little of the Farmazia SS Annunziata shop in Florence. I’m extremely sad because of all those regulations. I wish they changed their approach and allow companies to put warnings on the labels instead of butchering beautiful scents. I realize that big companies would still choose to remove whatever might scare away anybody rather than going for the more expensive ingredients AND putting warnings, but it could give smaller brands some room for creativity. Meanwhile, I should try to support those who can still do that here, in the U.S. Yes, I think the advantage with that idea (supporting your locals), is that you get more honest integrity too. I know that Christophe Laudamiel has created perfumes which he call ‘garment fragrance’ (as opposed to the skin wearable ‘fine fragrance’), that’s one way of getting around the problem.